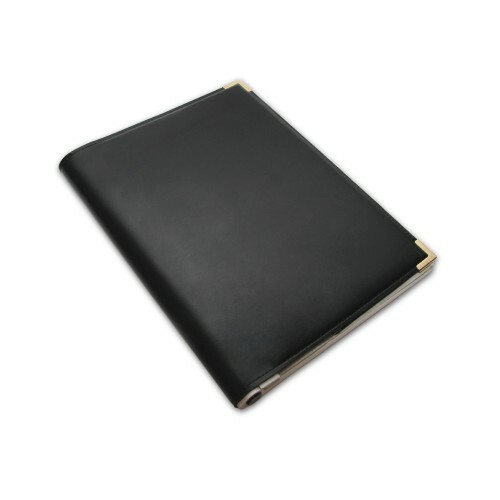 A black, synthetic leather Pass Display Book designed to be used in conjunction with Kalamazoo's paper pass systems. Ideal for displaying on your front desk. 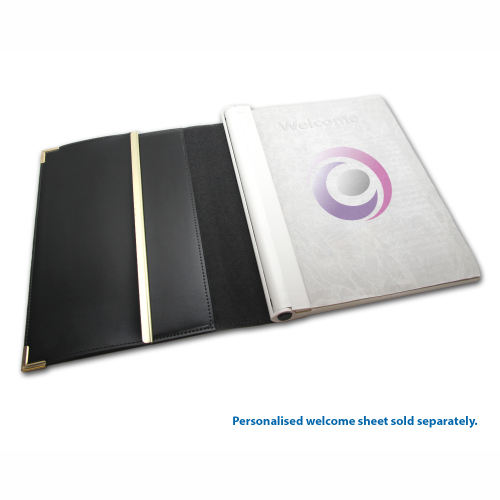 This black, synthetic leather Pass Display Book is specifically designed to be used in conjunction with Kalamazoo's paper pass systems. Kalamazoo has been producing binders and pass display books for over 40 years. Handmade using quality materials, this robust, synthetic leather pass display book has metal finishing on its corners for added durability and is designed to withstand repeated reuse. 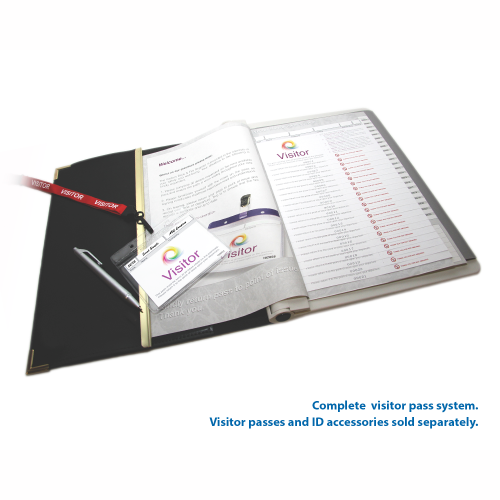 At just over A4 size, the book is convenient for storing on your front desk or reception area, ideal for easy access when visitors and/or contractors arrive. Call 01527 838 890 for more information.